One of the ultimate challenges for today’s pharmaceutical industry is treating brain conditions. The fragility of the organ and the difficulty delivering a drug across the blood-brain barrier means multiple brain diseases continue to have some of the lowest survival rates for any human condition. However, digital could offer solutions, with promising results for two innovative methods announced this week. The first is Novocure’s Optune, a patch-like device used to treat glioblastoma multiforme (GBM) – the most aggressive form of brain cancer. It delivers alternating electrical fields through the scalp that disrupt the division of cancer cells and leave healthy cells alone. When combined with standard of care chemotherapy (temozolomide), these Tumour Treating Fields (TTFs) have been shown to increased two- and five-year survival from 30% to 43% and 5% to 13%, respectively, compared to chemo alone, as well as median overall survival from 15 to 21 months. Although a small improvement, the results are the most significant increases in both survival rates reported in a phase 3 trial for newly-diagnosed GBM. 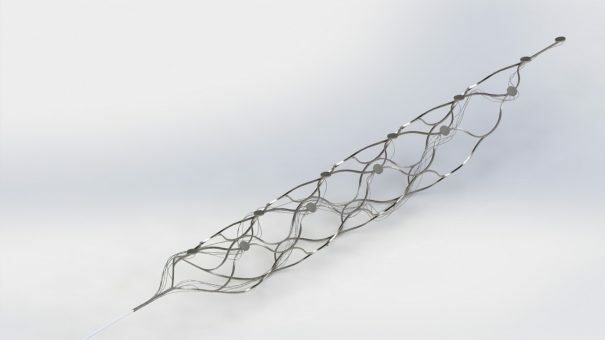 Another device – this time more for neurological conditions – is Synchron’s Stentrode – a mesh-like stent implanted into the brain to help combat paralysis. Sitting in the major blood vessel in the brain, the carotid artery, Stentrode picks up electrical signals from the brain and relays them to assistive devices. As it remains in the carotid artery, Stentrode overcomes the issue of rejection by brain tissue which has been a problem for other solutions to paralysis. Plus it doesn’t cause chronic brain scarring like implants inserted directly into brain tissue. Its approach has so much potential that Stentrode has received financial backing from the Defense Advanced Research Projects Agency (DARPA) – a division of the US Department of Defense concerned with developing emerging technologies for use in its military. Stentrode is around the size of a standard paperclip and could help paralysed patients control prostheses or exoskeletons. In both cases, the devices are building on research that has been advancing quietly in recent years thanks to revolutionary new technological capabilities. Optune was approved by the FDA in April 2011 for the treatment of patients with recurrent gioblastoma, based on evidence suggesting its benefit in these patients. It has also shown promise in ovarian cancer in a phase 2 trial and is being further investigated in the indication. 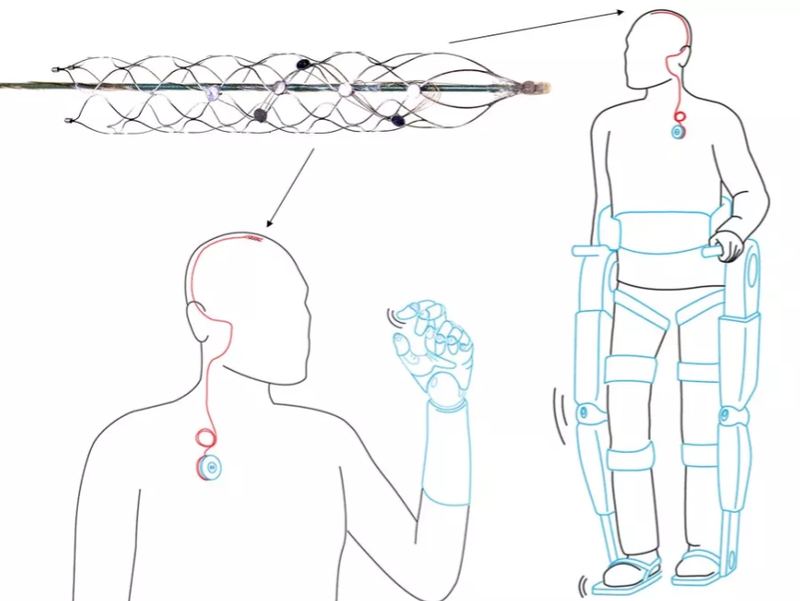 Stentrode follows advances in neural interfacing, which ‘hacks’ disability by re-routing brain signalling to the rest of the body. Last year, the technique achieved a world first, giving a quadraplegic man back the partial use of his hand. So technology is breaking down some of the greatest barriers in healthcare. Last year was a landmark year for funding of the digital health market. By the close of Q4, total funding reached a record $7.9 billion, surpassing the $7.1 billion target set in 2014. According to market analyst Startup Health, digital health funding is on track for another monumental year following the release of Q1 figures. The first few months of the year have brought in $2.5 billion of funding – the highest Q1 total seen since 2010. The figure was bolstered by a huge $914 million series B funding round for US cancer diagnostic company GRAIL – a company founded by former Google X executive Jeff Huber. The startup is looking to develop technology to detect cancer at its earliest stages. Other than GRAIL, the remainder of the top five deals in Q1 went to: population health management company Alignment Healthcare, which raised $115 million; patient network PatientsLikeMe which gained $100 million; US big data company Nuna Health, which raised $90 million, and electronic health record software developer PointClickCare, gaining $85 million. 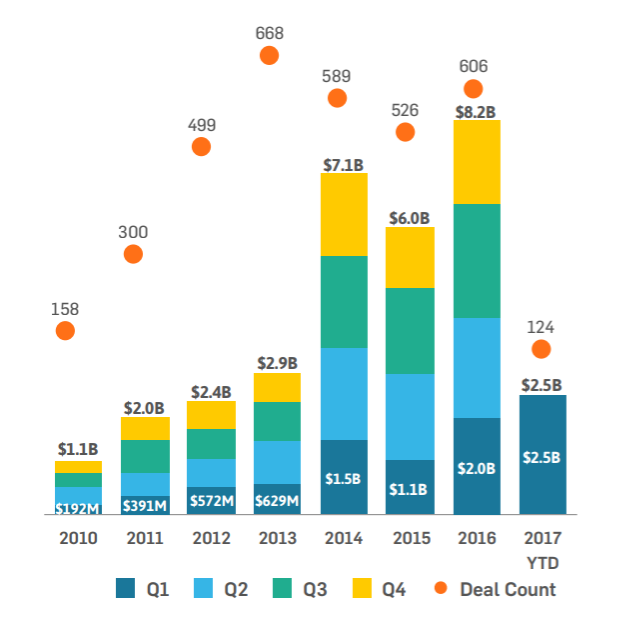 Population health, patient/consumer experience and workflow were the three most active sectors in terms of deals for Q1, racking up 25, 21 and 18 funding deals, respectively. Unsurprisingly, the San Francisco Bay Area remains the place to be for digital health companies, securing $408 million in funding across 24 deals, excluding GRAIL’s colossal $914 million funding round. New York City, Boston and Los Angeles are growing hotbeds for digital health startups. Read Startup Health’s full Q1 report here. In a bizarre twist in the already eventful Theranos saga, it appears CEO Elizabeth Holmes owes her own company money. According to the Wall Street Journal, the $25 million sum is the result of an agreement between Holmes and the company to let her buy more stock without paying upfront, instead letting her repay the debt later. The disclosure was made during negotiations on a potential pact struck between Holmes and investors in which the CEO agreed to give up her personal majority stake in Theranos if investors promised not to sue. The company’s board of investors has until 14 April to decide whether it will take the deal or not. Unfortunately for Holmes, the bargain results from extensive scrutiny by the Centers for Medicaid and Medicare Services – a series of investigations and penalties that have seen the company’s once stratospheric-level value crash. The closure of its testing labs, the laying-off of around 340 employees, the termination of its core commercial partnership with Walgreens, and the banning of Holmes herself from owning a lab in the next two years have led to a complete shakeup of Theranos’ business structure. 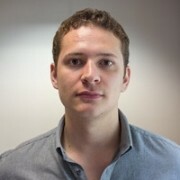 Having ditched its original proprietary ‘nanotainer’ technology, the company is now focused on the commercialisation of its desktop blood testing miniLab product.